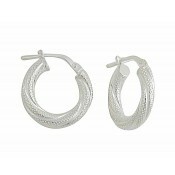 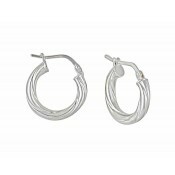 With their small design, these twisted hoop earrings are a fashionable twist on a classic design. 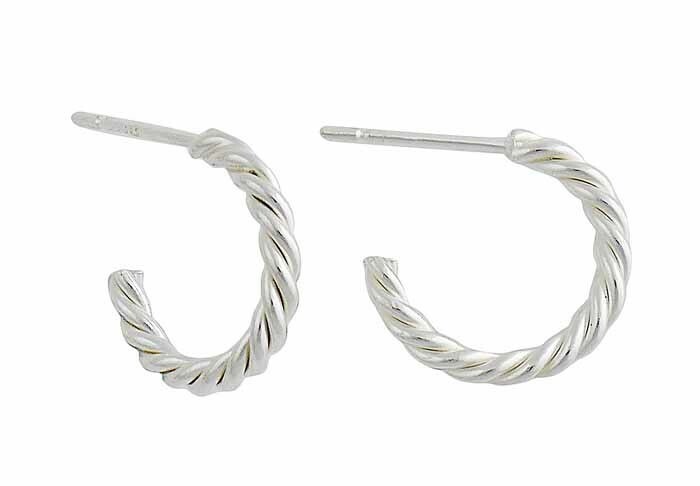 The captivating sterling silver twist that runs around the ear adds a fun element to your outfit while the stud post sits comfortably all day long. 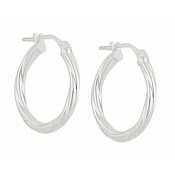 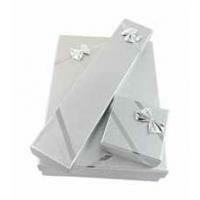 Ideal for a day at the office followed by team drinks or even a romantic dinner.